Chinese websites that are geo-restricted to China aren’t available outside of the nation. For this reason, anybody who wants to get behind the Great Firewall of China (GFW) requires an IP address within China. The answer is a Virtual Private Network (VPN) service, which allows anybody to easily ‘spoof’ their location within China. With the best VPN, anyone can see Chinese websites as if they were inside China. For Chinese people who are working abroad or on vacation, a VPN is perfect. By providing a Chinese IP address, they can access all Chinese web services, such as banking or Renren. For people who want to buy directly from Chinese manufacturers, a China IP address (with a VPN) is also ideal. Do bear in mind, however, that China is actively seeking to crack down on VPNs. As such, this list is subject to change and you should always check with the VPN before you subscribe (by contacting customer service). In this guide, you will discover how to start unblocking China-only websites. With a VPN, pretending to be in China (by making use of an IP address in China) is very easy. Subscribe to a VPN in this guide. For unblocking an IP address in China we strongly recommend HideMyAss . However, we have included five world-class VPN services in this guide that all provide a China IP. 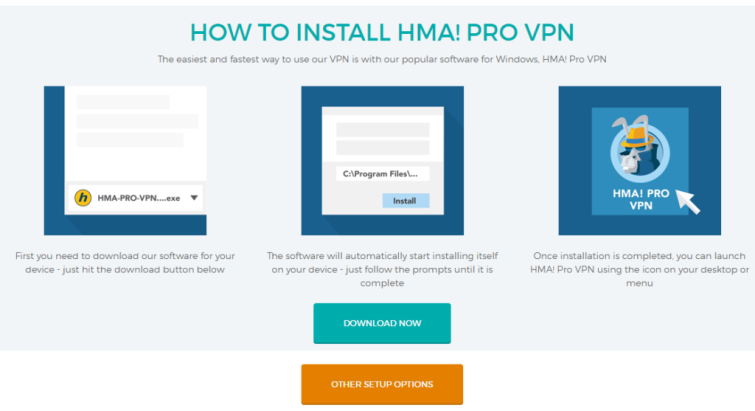 Download and install your preferred VPN’s software from its website. Connect to a VPN server in China to get a Chinese IP address. Navigate to the Chinese website that you want to use. Breathe a sigh of relief, and enjoy full, unrestricted access to Chinese websites and online services, all thanks to your versatile and highly useful China IP address. Take a look at the best VPN services with China IP address below. The best way to get a China IP address in 2018 is still the popular VPN service, HideMyAss. This is despite the fact that it has suffered minor setbacks from time to time (including when it lost all three servers temporarily last year). For just $4.99 per month (for a yearly subscription), users get access to over 860 servers in over 190 countries – including mainland China. HideMyAss was at the center of some controversy for having to help the authorities (by handing over some data about one of its subscribers). However, this appears to have been only a minor setback, and, on the whole, the VPN is well liked (especially for getting a Chinese IP address). Subscribers can use two simultaneous connections. Speeds are excellent on the Chinese servers, and users will have no trouble streaming in HD. Encryption is industry standard, as HideMyAss offers our recommended protocol, OpenVPN. It also offers a 30-day money-back guarantee, so that you can try the service risk-free. Due to its excellent Chinese servers, HideMyAss is the best way to get a China IP in 2018. VPNArea is an absolutely amazing option for anybody that needs a Chinese IP address. Not only is this VPN superb value for money, but it is also based in Bulgaria - well out of the way of any invasive jurisdictions. This zero-logs VPN is extremely trustworthy, has apps for all platforms, and is fully featured with a killswitch, DNS leak protection, and stealth mode (for bypassing the Great Firewall of China). VPNArea provides fantastic speeds for streaming on sites like Youku. In addition, it permits peer-to-peer (P2P) with BitTorrent. With servers in both China-Quingdao and China-Shanghai, this VPN is perfect for getting a Chinese IP address. Why not try it thanks to its 14-day money back guarantee? Proxy.sh is a VPN based in the Seychelles. It is ideal for subscribers who want to VPN into China, thanks to its fast, China-based servers. Proxy.sh is committed to user privacy and anonymity, which is fantastic. Registration is easy and only requires an email address. Also great for those who want that extra layer of anonymity is that it accepts bitcoins. Encryption is strong OpenVPN. One slight drawback is that, although the service is highly secure, it can sometimes be a bit slower than some of the other providers we have mentioned. During testing, download speeds jumped around a little bit. However, this VPN is still very good for the job of getting a China IP address when compared to the vast majority of other VPNs. This minor downside is balanced by the excellent security that Proxy.sh provides, and it is possible to upgrade an account to get better speeds. A superb VPN to tunnel into China. The final option for pretending to be in China is EarthVPN. It is a low-cost VPN that has brilliant servers in China. It is available for all popular platforms, never throttles bandwidth, and has a wide range of VPN protocols on offer (including our recommended protocol, OpenVPN). EarthVPN is a zero logs VPN, which is excellent news for people who want a China IP address and strong privacy. In addition, for just $3.99 per month, users get superb features like Socket Secure (SOCKS) proxy servers and Secure Shell (SSH) tunneling. Finally, as well as fast and reliable servers in China, EarthVPN has over 304 servers in 32 countries, for unblocking content all around the world. As soon as you have decided which of the VPNs you prefer, click through to your chosen VPN’s website and subscribe. Paying for your VPN yearly will save you a lot of money, so if you need to use a Chinese IP address regularly, opt for a yearly subscription. After registering with the VPN for China, you will be given access to download the VPN’s software (client). The software for connecting to the Chinese IP address will download very quickly and is incredibly easy to install. Just remember to choose the one for the platform that you use. The VPNs we recommend all allow more than one simultaneous connection, so you can connect to Chinese websites on a smartphone, tablet, and laptop. Here at BestVPN.com we prefer and recommend the OpenVPN encryption protocol - please choose it in your chosen VPN's settings. Browsing some geo-blocked content can be in breach of copyright, but OpenVPN will keep you secure. Remember: if you have any problems, your VPN provider will be able to help you quickly fix any issues. Simply contact them, or get in touch with us here at BestVPN.com. We are always happy to help. Having installed the VPN software on your device (and selected OpenVPN), it is time to connect to the Chinese IP address. To do so, just choose a server in China from the VPN’s server list. Click Connect and wait for the software to go green or say Connected. As soon as it connects, your data is fully encrypted and your IP address appears to be from China. The result is that you appear to be just like any other person using the internet from within China. Getting a VPN that provides a China IP address involves a few important considerations. In this guide, we have carefully paid attention to these factors to make sure that your China VPN tunnel does the job well. Not every VPN on the market works well - some are terribly slow. In addition, many VPNs are neither trustworthy nor reliable. There are in excess of 800 VPN providers, many of whose services have outdated encryption and privacy policies that are incredibly risky. Some even sell customer data to third parties. A poor quality VPN simply isn’t a viable option. A VPN needs to provide fast, unrestricted access to a Chinese IP address AND effective security and privacy. Without both of these, the VPN is a rip-off. What Makes a Good VPN for China? When using an IP address in China to access geo-restricted content, you need to be highly secure. Sadly, many VPNs provide badly implemented or outdated encryption. Furthermore, many VPNs don’t provide the level of service you need to be secure. When selecting a VPN with a China IP address, subscribers require a server that successfully gets them through the GFW. Those China-based servers also need to be lightning fast, or else your internet connection will be much too slow. To enjoy a Chinese IP address, consumers need a VPN that provides peace of mind due to top-of-the-range encryption and privacy practices. For this reason, a VPN for China should keep no usage logs, share no data with third parties, and provide OpenVPN encryption (implemented strongly). All of the VPNs that we have selected for this guide provide safe and private access to Chinese IP addresses. With a VPN subscription, internet freedom becomes the norm. Subscribers can privately and securely access content anywhere that their VPN has a server. To use Chinese websites, a China IP address is required. All of the VPN services that we have recommended provide this important service. All of the excellent VPNs that we have suggested also have VPN servers located around the world. This means that you can use your VPN subscription to connect to websites in many other countries too. Privacy is always useful, so you should use a VPN to encrypt your data at all times. You can also access excellent geo-restricted content all over the world. If internet freedom is what you want, a VPN is the answer. In the last year, China has been actively cracking down on VPNs. Domestic VPNs within China have been the worst affected. However, even some international VPNs that have endpoint servers in China (Chinese IP addresses) have suffered a loss of their servers. This is a fluid and ongoing battle of wills. The good news is that (as you can see from this article) there are still some VPNs that allow you to get an IP address in China. However, because of the ongoing climate, it is always worth clicking through to the VPN to ask if they still have servers in China. The VPNs in this list will get back to you quickly and at least then you will have a definitive answer about getting a Chinese IP address. In this guide, we have demonstrated how anybody can easily get a Chinese IP address. The best VPN service for getting a China IP address is HideMyAss . As people enjoy choice, we've also recommended four other services. We looked at the market closely to decide on the world's five best VPNs for getting a Chinese IP address. All of these VPNs will unblock Chinese websites. In addition, they all offer a trial period of some kind, so you can test the VPN risk-free to be confident that it works. On top of that, all of the VPNs that we have recommended are trusted services that provide some of the fastest connection speeds on the market. Privacy policies were high up on our list of requirements, and all of these VPNs run a tight ship when it comes to providing excellent privacy for their users. In addition, encryption is of the very best standards, so you can be confident of staying secure when using a China IP address. Everything has been carefully considered by our team here at BestVPN.com so that you can select a VPN for China with confidence. As such, we'll leave you to enjoy selecting a VPN with a Chinese IP address. If you have any questions, please leave a message below. Hi Alan, China has recently cracked down on VPN services that operate within China. It seems likely that HMA has had to close its China VPN servers as a result of this. I have Astrill and they removed China endpoints a while ago. Feels like your article is outdated. Hi Pengster, The Chinese governmnet is cracking down on VPN services operating in China, so the situation is uncertain. Ray has added a proviso to this effect to the article. He also contacted Astrill about the issue and received the following reply, "We do have China server. However, it is currently unavailable and is being fixed as of the moment." Is this really published in April 11, 2017? Hidemyass current price for yearly subscription service is $6.55 per month(April 25, 2017). And the replies were dated back in 2016. Hi TonLuc, Um... the article says $6.55 per month for an annual HMA subscription! And yes, it was recently updated. We now replace old content with new content on the existing page, rather than creating new pages each time we update an article. The reason for this is precisely so that we don't loose a bunch-load of useful users' comments every time we update a page! Hi Claudio, I must admit that I know nothing about trading Forex, so I asked Ray. He says: "There are no real advantages to trading forex with a VPN. To connect directly to an exchange you would have to register as a broker-dealer, self-clear and do your own executions. To do so you would still need to pay the clearing firm and pay for the third-party risk check required by current regulatory framework. The cost of the BD infrastructure and compliance with regulators, would likely make this choice a no go as an independent broker dealer. If you were hoping to gain a trading advantage by tunneling into an overseas country with a VPN this is also not a good strategy. VPNs slow down your internet connection, because the data has to travel down the VPN tunnel to the VPN servers and then back to you, while undergoing encryption. For trading forex a faster internet connection is desirable."